Superb for the sixth time. 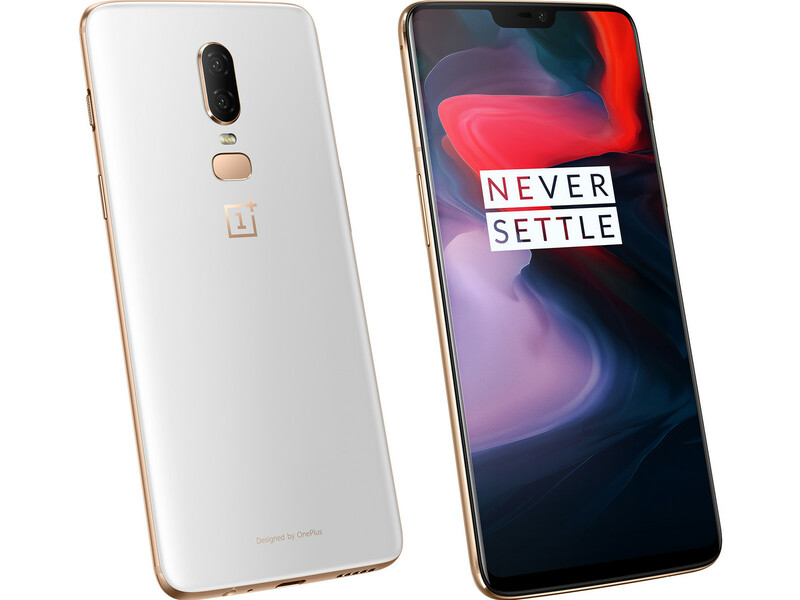 OnePlus sticks to its high release rate, releasing the successor of the OnePlus 5T after just 6 months: The OnePlus 6. The Smartphone now has a new SoC, a new glass back, a notch and the cameras are supposed to have been improved as well. In our review, we find out whether or not a quick switch is worth it. Update: OxygenOS 5.1.9 with improved camera quality and other fixes has been released. Positive: Powerful hardware; good price; nice design. Positive: Decent cameras; high mobility; powerful hardware; nice performance. Positive: Excellent display; powerful hardware. Negative: Heavy and bulky; no wireless charging; no microSD card slot. Positive: Stylish design; decent hardware. Positive: High performance; fast system; impressive design; decent cameras; good price. Positive: Nice design; fast system; decent cameras. Positive: Decent cameras; nice connectivity; good price. Positive: Long battery life; quick charging; decent cameras. Positive: Fast system; decent cameras; nice design. Positive: Nice performance; excellent display; good price; great built quality. Negative: Easy getting fingerprints; poor cameras. Positive: Nice performance; decent cameras; long battery life. Positive: Nice design; good battery life; decent cameras. Positive: Powerful hardware; solid workmanship; nice display. Positive: Nice performance; decent cameras; large battery capacity. Positive: Elegant design; nice display; long battery life. Negative: Poor cameras. Positive: Great built quality; nice design; decent cameras. Positive: Solid workmanship; excellent display; powerful system. Negative: No microSD slot; high DAS. Positive: Metal case; nice display; good hardware. Positive: Elegant design; solid workmanship; high performance; high autonomy. Positive: High performance; excellent cameras; nice display. Positive: Decent hardware; nice cameras; premium design. Positive: Good price; nice design; high performance. Positive: Excellent cameras; fast system; high performance; premium design. Negative: Poor display; no memory card slot. Positive: High performance; fast system; quick charging; flexible fingerprint sensor; nice connectivity. Negative: No microSD card slot; no wireless charging; unsupported waterproof and dust avoiding. Positive: Impressive design; decent hardware; nice dual cameras. Positive: Powerful hardware; support waterproof; beautiful design; nice cameras. Positive: Impressive design; nice dual cameras; solid workmanship. Positive: Low price; nice display; fast system. Negative: No wireless charging; unsupported waterproof; mediocre speakers. Positive: Beautiful design; nice display; decent cameras; large screen; good price. 88.37%: This is a good rating above average. Nevertheless you should not forget, that 10-15% of all notebook-models get a better rating.